Many of us like shiny things, but at some point it can become dull. 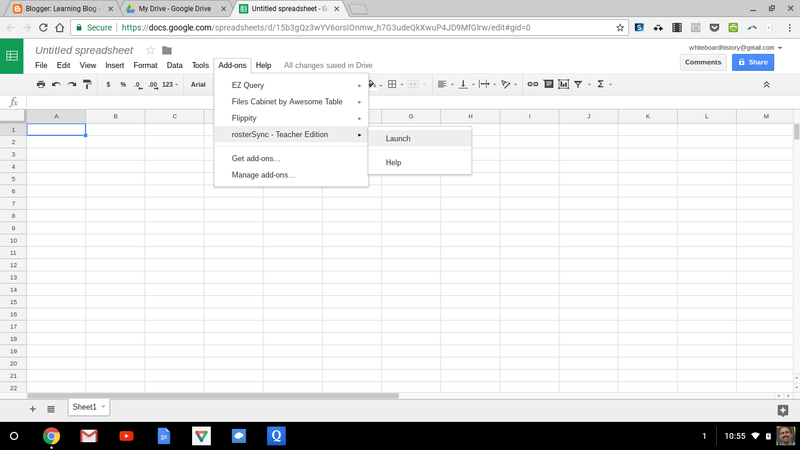 When my shiny edtech faded, I turned to Google Sheets to manage my classes. 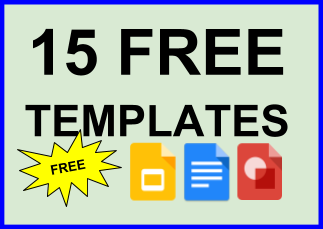 Sheets made the most sense because of all the different ways to customize them through scripts and add-ons. 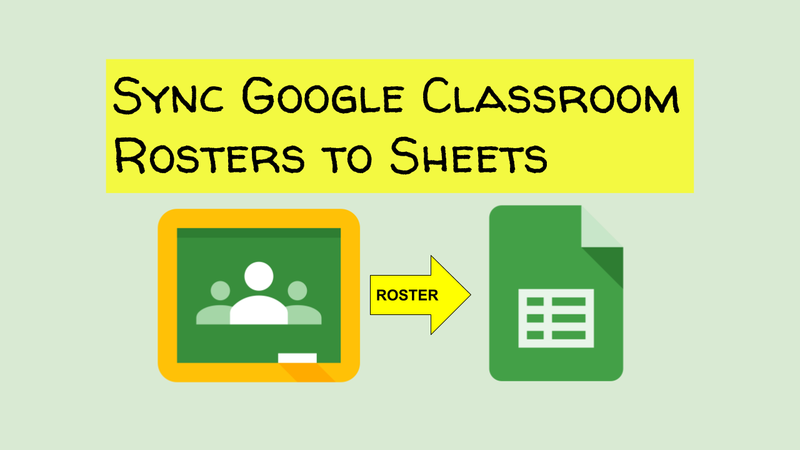 My new favorite Sheets add-on is Roster Sync. 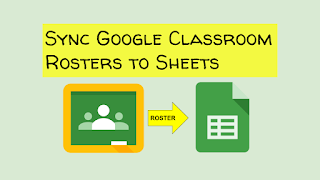 It pulls (or pushes) a roster from Google Classroom to Sheets, which is very helpful if you're like me and have a grade book program that doesn't let you download to csv. Beyond tracking textbooks (we don't use), student groupings for cooperative learning, and mini project deadlines, Roster Sync sets me up to make exit ticket destinations (see future post about how this works). Here are a few steps to get started with Roster Sync. Select "Get add-ons" from the Add-ons option in the menu. This opens a search box that you can use to find rosterSync. Click add, and it will be placed in your add-ons. Once rosterSync is in your add-ons, it will stay there for future use. Select rosterSync and then "Launch." This opens a sidebar in which you can choose from a few options. 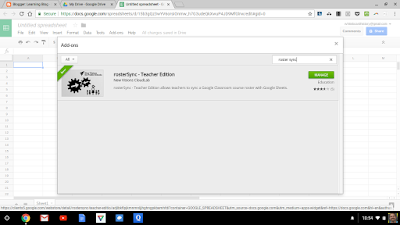 In the sidebar, choose the class from Google Classroom that you want to import. 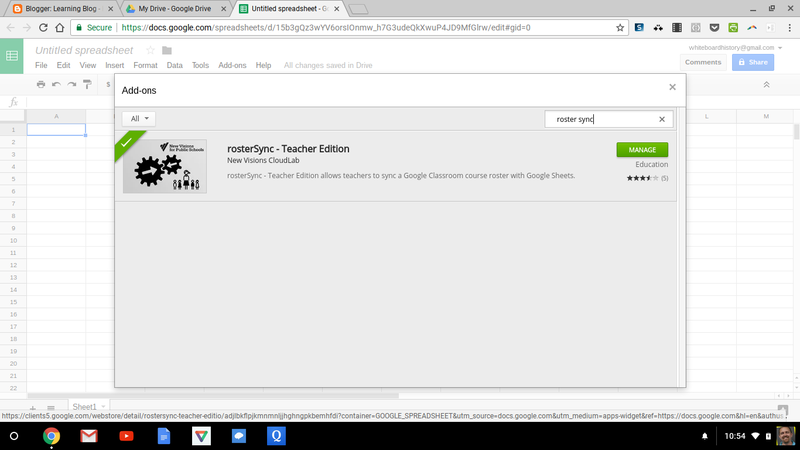 Choose whether you want to pull a roster from Google Classroom or send one from Sheets. Click the box that allows you to name the sheet with the same name as the class you're pulling from. This is a nice touch for a tool that saves me a bunch of time. It's the little things that keep me going. Click the blue button the run the add-on. This only takes a second before the column headings are labeled and data starts populating. 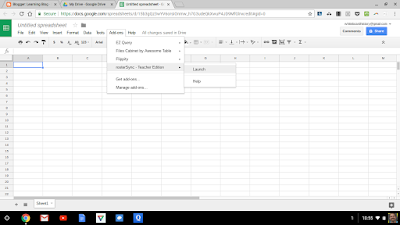 I've learned that Google Sheets can do many of the information management tasks teachers need to run an efficient classroom. It may be a bit advanced for many users, but I think everyone should consider the possibilities of using scripts to make tools that suit your needs. I haven't written any particularly useful scripts. But in the process of trying, I have come up with new ideas about how to manage information and found that someone already wrote one and shared it with the World. For more information, try Alice Keeler. I can't think of anyone who would have more to offer when it comes to Google Sheets, writing scripts for educational needs, and Google Classroom, among other things.